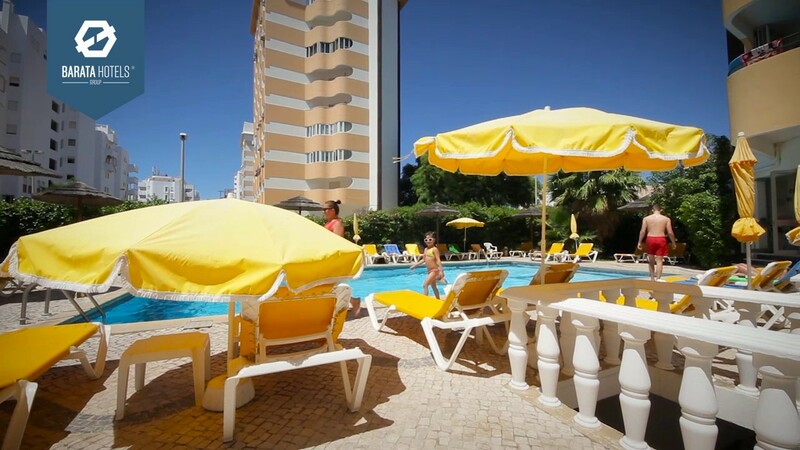 Hotel Atismar offers accommodation in a central position, 50 meters from the Quarteira Beach. It features an outdoor pool, 24-hour reception, car rental and free Wi-Fi in public areas. Hotel Atismar offers accommodation in a central position, 50 meters from the Quarteira Beach. It features an outdoor pool, 24-hour reception, a car hire service and free Wi-Fi in public areas. The bright rooms of the Atismar Hotel are modernly fitted with air conditioning and TVs with satellite channels. Each room includes a private bathroom. The in-house restaurant serves international cuisine and a variety of Algarve dishes made with fresh ingredients. Several restaurants serving seafood are a 5-minute walk from the hotel. Guests can relax on a sun lounger poolside, or rent a bicycle and explore the countryside. Vilamoura Golf Courses are located less than 2 km from the Atismar. Hotel Atismar is situated 4 km from Aquashow Water Park and is 12 km from the lively town of Loulé. Vilamoura Marina is just 2 km away. Free parking is available on site. "Very clean hotel, exceptional food! Will be back." "Great place to stay. Staff very friendly!" "The All Inclusive package makes up for the price!" "The food at the restaurant was something of the best we have ever tasted!" Why book through another channel? Book directly with us and enjoy special benefits! Hotel Atismar is located 4 km from Aquashow Water Park and is 12 km from the lively town of Loulé. Vilamoura Marina is just 2 km away. There is free parking on site.